As a family owned business, we strive to give the best to our customers, new and returning! Over the past 2 years we have increased our "can-do's" and services we offer. If you need it, we will do it! New Vehicle? Old Vehicle? It really doesn't matter. All Vehicles require maintenance, and if done on schedule, will save you money! Check out our maintenance schedule below! We have a huge variety of lift kits, leveling kits, and even lowering kits for any make or model truck, car or suv. We also carry any aftermarket lights, side steps or anything that you can think of! City Auto Kelowna is a family run business and we work our hardest to serve the Okanagan in all things automotive and aftermarket. Come on in and check out our Team! City Auto Repair & performance is proud to offer a full range of car maintenance services to vehicle owners located in the Kelowna area. It is important to remember that regular maintenance is key to ensure that your car runs problem free. Looking for a little something different? We carry over 300 different product lines, and have what you need. 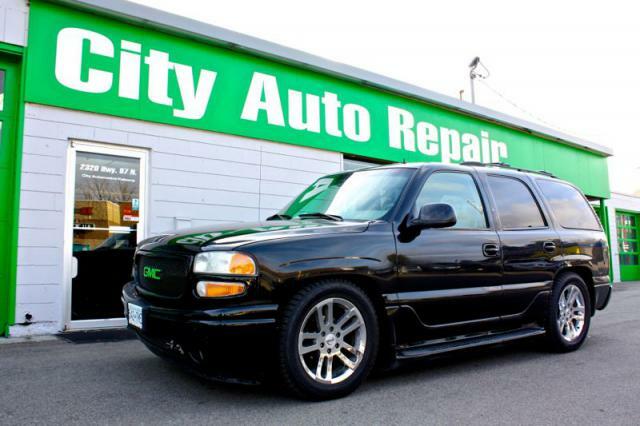 City Auto Repair is a Kelowna shop that serves the central Okanagan area. With the goal of honesty and trust, we put our greatest effort into listening to our customers, taking into account what they want, and doing our best to get you back on the road as quickly and safely as possible. With these intentions, we have been voted the Number One Auto Repair Shop in Kelowna, 2 years running, by our loyal customers. City Auto Repair is proud to offer a full range of garage and mechanic services to vehicle owners, including: auto repiar, brake repair, heating and cooling, battery replacement, suspension repair, engine, fuel system, and interior repairs. Also providing regular maintenance to ensure your vehicle runs smoothly, and most importantly, safely. This includes, oil changes, transmission service kits, coolant flush, air conditioning recharge, tune ups, belt replacements, and filters. City Auto Repair has a full range of tires. Whether you're looking for summer or winter tires for your car or some super swampers for your jeep, we can get them in for you, in a wide varity of brands and prices.